Today I'm collaborating with some stylish bloggers to share our "Glamorous Favorites" with The Refined Side! We are each sharing one item from our closets to showcase for this link-up and at 1PM EST/12PM CST today we will be hosting a live Twitter chat with The Refined Side ladies to discuss our items! We hope you join along and ask us questions using the hashtag #GlamFaves! 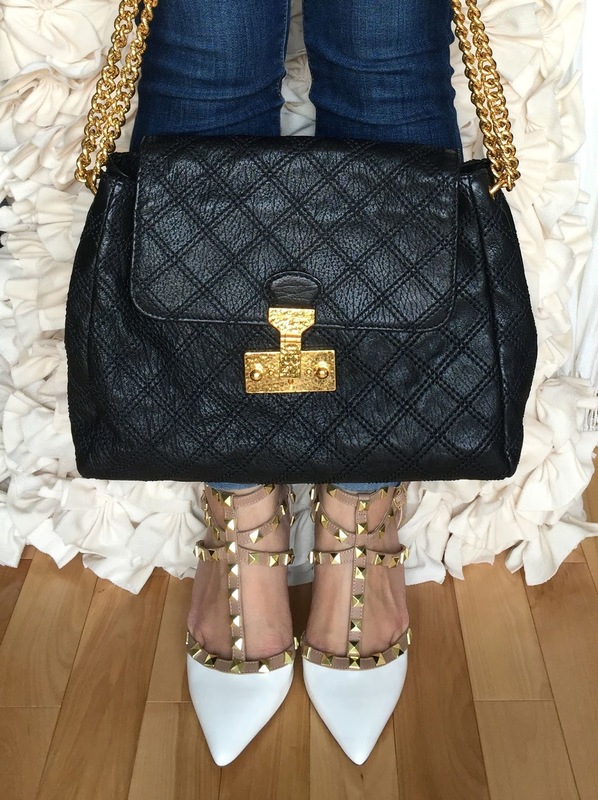 My "Glamorous Favorite" is the very first big designer item I've ever owned, a Marc Jacobs bag. I received it as a generous college graduation gift. The gifter wanted to get me something to celebrate reaching my goal of completing two degrees in 4 years. Deciding which bag I wanted was pretty difficult! I knew that I wanted something classic. I believe that having money to spend on designer items is a huge blessing and should only be spent on "investment pieces", if anything. So I was looking for something that could be worn for any occasion for a lifetime and passed on. 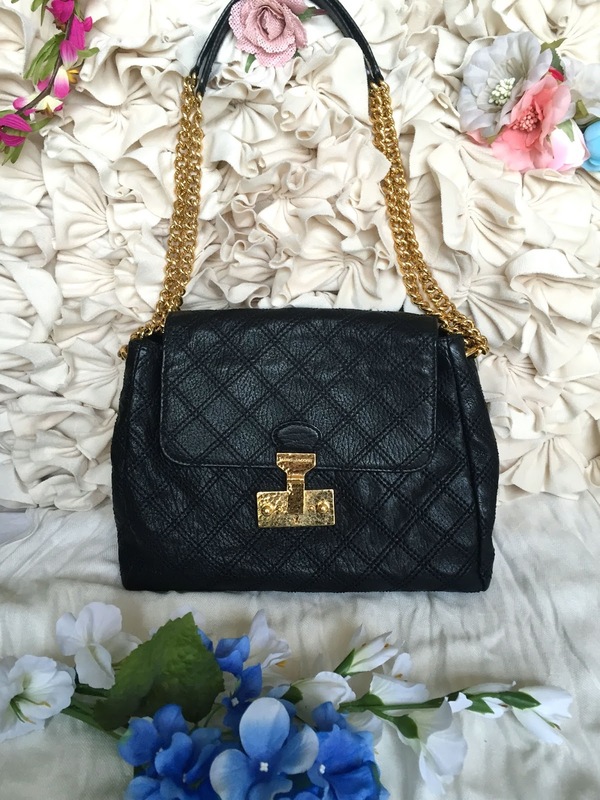 For years, I was on the lookout for a black, quilted leather bag with gold hardware. The moment I laid eyes on this Marc Jacobs, I knew it was the one. Not only is it classic, but it's also so versatile! The straps are adjustable, so the bag can be worn as a shoulder bag and also as a crossbody bag. I also love it because it holds a lot. Important to stash my computer cords (reference anyone?) or food when I'm not sure how the food will be at a wedding. As you may know, or will soon learn if you follow my story, I will do anything to find a great bargain. So even though this may have been a graduation present for me, I still made sure the gifter found a great deal on this bag! Don't think that designer bags never go on sale. You just have to invest time to scour the internet for something and you just might be in luck! If you are new here, welcome! It's so wonderful to be a part of this fun link-up and get the chance to meet you. I hope you stay awhile and get to know a bit of my story and I would love to get to know your story! Just let me know how I can follow along in the comments section below! Then, be sure to check out the "Glamorous Favorites" of the other lovely ladies! Katharine of Paytington & Co.
An absolute classic. Beautiful -- and I love it paired with the white rockstuds. How wonderful that it has such special meaning. Joanna this bag is SPECTACULAR!! 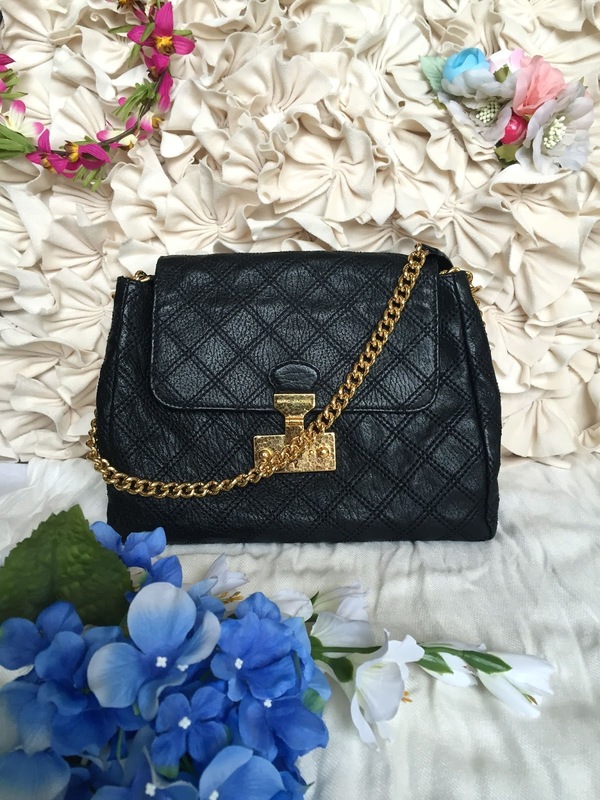 Nothing beats the classic versatility of a quilted black bag!!! 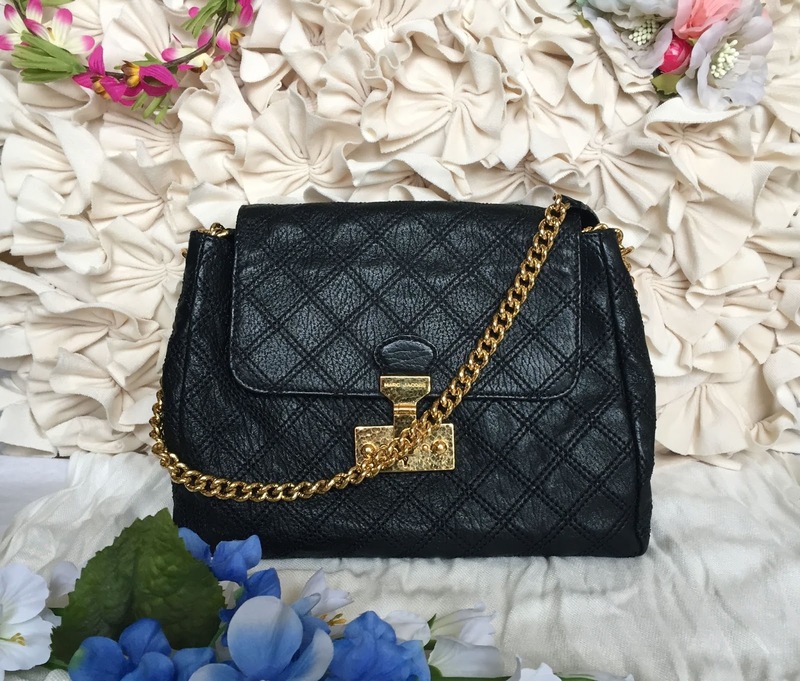 I completely agree about finding steals and investing in classic pieces that will last a lifetime and then some and I can't think of a more perfect bag to accomplish that. And you totally earned it after two degrees in 4 years!!! Such a cool collaboration... I would love to have participated!! Your shoes and handbag are gorgeous together!! 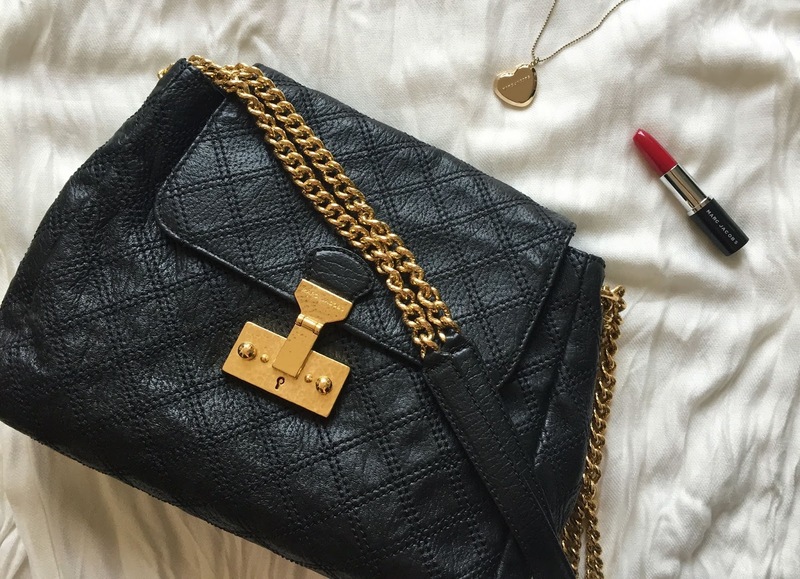 Love a versatile bag, especially when it is so sentimental, too. Definitely a classic that you can use for many years to come! I love this bag! The quilting will make it a classic for years to come and the best part I think is that there is a story behind it. Loved linking up with you today!